Med Marine proudly announces adding two new designs to its ever-growing product portfolio. 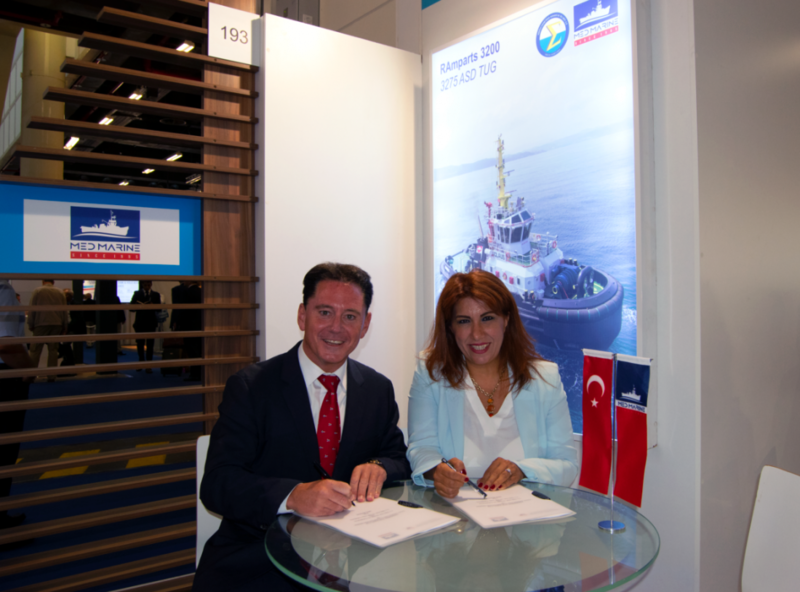 The shipbuilder signed two new design contracts for 6 tugboats with Spanish top designer Cintranaval Ship Design last week during SMM Hamburg 2018. The contracts are for CND-18109 and CND-18110 series tugs including both TS and ASD propulsion types, respectively. Med Marine’s contract with Cintranaval Ship design includes 4 units of CND-18109 TS type tugboats and 2 units of CND-18110 ASD type tugboats. Med Marine (thereby, Ereğli Shipyard) is granted with the exclusive right to build these designs in Turkey. Both designs have climate-controlled accommodation spaces for 4 persons in two double crew cabins.